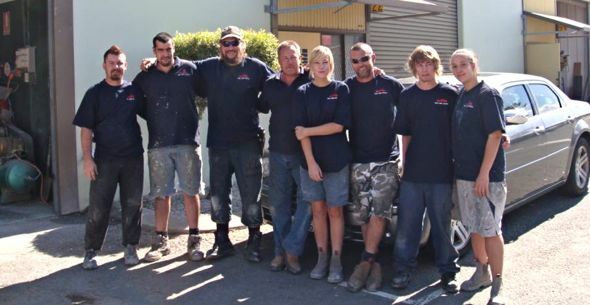 Ken and his team have been repairing damaged cars at K&W Panel Beaters since 1993. Regardless of whether your car is damaged because of a crash, smash or wear and tear, K&W Panel Beaters will make it look as new. Whether it is just a small dent or you have had a big crash, at K&W Panel Beaters we’ll take care of it. We will come and get you, help you out with the paperwork and get you home safely while our team does a quality repair job on your car to get you back on the road as soon as possible. We perform out work at a competitive rate and invite you to drop by or call for a quote. Give us a call or drop by for a free quote on repairing your car to look as new. We believe in good old craftsmanship to make your car look as new.